(1961) Debra Paget, Daniella Rocca, Antonio Cifariello, Folco Lulli. 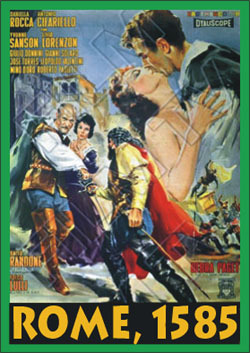 The leader of a gang of Spanish mercenaries falls for a beautiful princess. Thing get dicey, however, when an imprisoned leader is freed and comes calling. Paget, as usual, is absolutely stunning. Not bad. Color, From 16mm.